Libra Laser Design opened its doors in April 2014 and have since grown into a thriving small business. We offer customized laser cutting and engraving services to clients at competitive prices. We work with a range of materials which include wood, perspex, leather, cardboard, cork and glass to name a few. For more details and specs on each of these visit our Materials page. Our machine can cut a maximum area of 1000mm x 600mm. As most of our projects start with an idea, it is important for us to work closely with our clients to ensure the end product reflects the original concept. We have a small and dynamic team who will work around the clock to guarantee customer service satisfaction. We are based in Pretoria East and can arrange a courier service for the delivery of products within South Africa. Send us your idea, include pictures, fonts, material, size and quantity. Based on the images and specifications you shared, we will send you a quote. EFT payments accepted. Nationwide Delivery. Moms, brides, party planners, small businesses to big corporates, we love working with all of you! 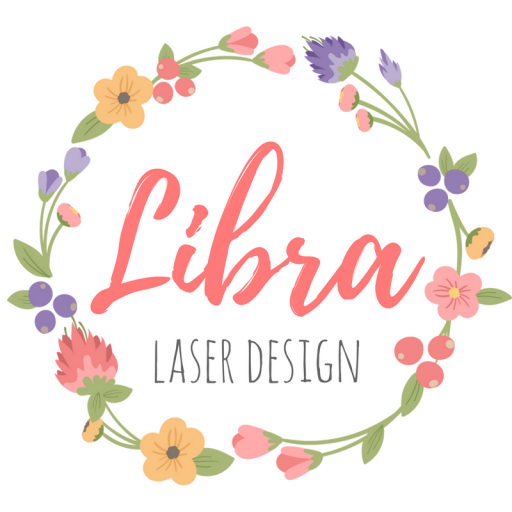 Copyright© 2019 Libra Laser Designs. All rights are reserved.